✅ Trip Verified | The service is awful, our flight was delayed a couple times for 30 min then it was totally cancelled. We were told to go to the ticket desk for a refund or to rebook our flights. I was standing in a queue for 7 hours, it was so unprofessional, there were no barriers for proper queues, people were just going through. Airport services did not even offer tea, coffee or water. It was the worst airport service I have ever had. No one gave any information as to what was going on. Did not get any compensation or anything from Ryanair. ✅ Trip Verified | Horrible customer care service at Ryanair stand. The information board says you can go to drop your bag at a certain gate, but after queuing for 20 minutes I am told I am to early to drop my bag. Why inform customers to go to a particular gate, if it’s not open? No common sense in the way they operate the airport and information for passengers. "a compact and clean airport"
✅ Trip Verified | This is a compact and clean airport with plenty of cafes and souvenir stores. It has several restaurants, both before and after border control. Yes, prices are high, as in any other airport in the world. For hungry passengers I recommend the restaurant Lido, it's located in the public area on the 3rd floor and has a good choice of food at reasonable prices. The airport has clear signage and considering its small size, it's very difficult to get lost. I use this airport often and never had problems finding seating. The main problem for passengers arriving at RIX is taxi service with crazy and unpredictable prices, but this is not a criterion to evaluate an airport. If it were, I would give this airport only four or five out of ten stars. Some unscrupulous taxi drivers could charge several times more than regular fare. Regular fare from the airport to the city's center is about 14 Euro on average and if you need a taxi, I would recommend Red Cab, a company with a better reputation than others. 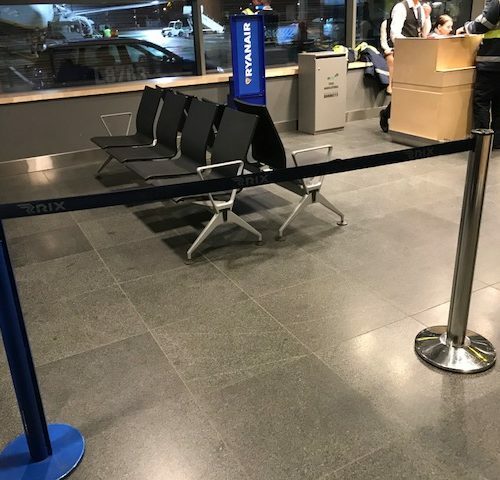 Not Verified | I have liked Riga airport before, it's small so its easy to proceed to a connecting flight. Also the services have been ok. Today I had to wait for connecting flight at port B2. There are no seats at all. Most of the passengers had to stand up for a long time, if they didn't want to enter an overpriced cafe. This in unacceptable. Substandard service. "felt like I'm in 3rd world country"
I am travelling a lot across all Europe. And this is he only airport that starts check in 2 hours before. I thought Latvia part of EU. However I felt like I am in 3rd world country. Staff was extremely rude. Everywhere: bars, info, desks etc. I will not recommend to use this airport. Fly to Lithuania or Estonia and then get a bus!!!! 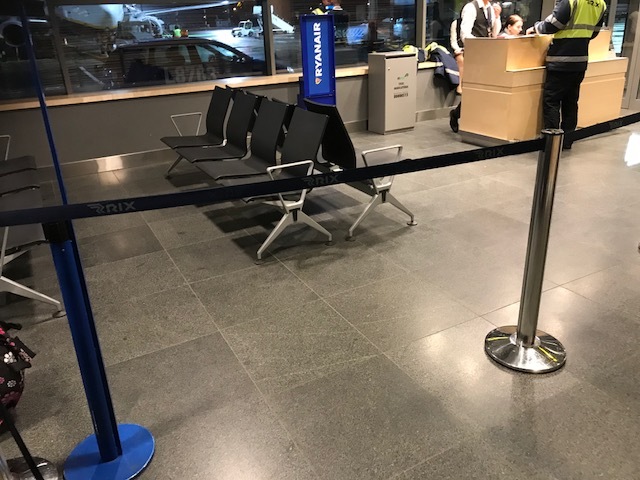 "a nice and clean airport"
✅ Trip Verified | Riga airport is a nice and clean airport with plenty of shops. There is a lot of seats with power plugs in it, so you won't run out of battery. The design of this airport is scandavian, so you can see wood everywhere and the view from gates are really good. It is a small airport, but worth trying. 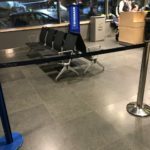 "45 minutes standing in the queue"
Not Verified | I travel all over Europe and the US and have never seen a longer security line than Riga Airport. It is worse than even Denver (#2), worse than Boston (#3), and who can forget Geneva on any Monday morning (Dishonourable Mention). On my last trip (and I live in Riga), I wasted about 45 minutes standing in the queue. Never had the opportunity to have the breakfast that I expected. I would think that the store keepers and restaurants at RIX would be up in arms because their potential passengers are waiting rather than buying. ✅ Trip Verified | Well the arrival was something very much like an arrival at London Stansted not Riga. You have an aircraft, which needs steps, and a coach to take passengers to the arrival terminal, Yes you have guessed it! Aircraft arrives, no steps, a ten minute wait while a set of steps appear, bear in mind there is a rear and front door to an aircraft (not rocket science is it?). Then another wait while the coach to take us to the arrivals terminal. Yes the driver must of attended Basil Fawltys school of logic, he dropped a full coach of passengers off at the most distant door possible. Well all this is due to the cowboy ground handling company at the Airport whos staff must of worked at Stansted or at least its Duty Management team. I will name and shame the company they are called HAVAS and have the monopoly at RIGA airport. The border control point at Riga terminal C have a new green approach and like to sit in the dark, maybe its the case of not liking working. All desks had staff but only 3 of the 8 were lit? Yes you have guessed it, queues soon formed at those desks! Maybe the Latvian border service should remove the little boxes and go open plan so people can see which gates are open? After 5 minutes people soon started to use the dark desks much to the surprise of the officers. Maybe it is time to get some Epass gates at the airport? Then on to baggage reclaim and a 30 minute wait before the bags appeared. Time from landing to clearing customs 45 minutes in my time of visiting Riga since 2005 has ever taken that long! Thank you HAVAS for been so incompetent. Air Baltic you need to find another ground handling agent at Riga ASAP. Yet on departure, I expected the same carry on but it was completely different, plenty of staff at the checkin, and gate. The turn round team on the pan had plenty of staff, 2 sets of steps. The staff were smiling and friendly from Checkin to broading. Even the security team which in most airports get bad press were friendly and polite. On the departure air-side area there plenty of places to eat and drink and there looks to be some construction work been under taken to extend the range of places to eat and shop. "have never experienced such attitude"
✅ Trip Verified | I am a regular traveler through Riga Airport, I tend to use Ryanair from EMA Airport which is close to where I live and from Riga to other parts of Europe the airport has good connections. However it is becoming frustrating sometimes dealing with some staff at gates, the majority are very arrogant, rude and have no manners in dealing with travellers, even the elderly and travellers with children. I decided to write after experiencing the same attitude and rudeness several times. They have forced people, old, families with children and others to clear a seating area for no reason! Riga Airport have spent so much money on expanding the airport, maybe they need to spend some on educating their staff on European manners and some customer service ethics. I have never experienced such attitude and such service at any international airport I have been to. Pushing people and make them stand and wait in un-organised manner, and blocking access is risky and dangerous in the event of an emergency. "I have never experienced such attitude"
✅ Trip Verified | I enjoy traveling via Riga Airport due to direct flight to EMA. However it is becoming frustrating sometimes dealing with some staff at gates, as some are very arrogant, rude and have no manners in dealing with travellers. I decided to write after experiencing the same attitude and rudeness several times. I was flying to EMA flight number FR1665, and waiting in the waiting area showing in the photo, and one of the employee was forcing an old man and his wife who had priority boarding to move backwards. When they asked if they can sit and wait, and they pointed they wanted to sit in the area where I was sat, the employee said no, and asked me to get up and leave. When I told him I had a back problem and I already had priority boarding and will sit till he decided where the priority passengers line is. He refused and spoke in a very rude manner and said that that seating cannot be used during boarding. I have never experienced such attitude and such service at any international airport I have been to. Pushing people and make them stand and wait in un-organised manner, and blocking access is a risky and dangerous in event of emergency. As I understand, that your aim is to get more people to use Riga Airport as an International travel hub, but such behavior will put people off from traveling via Riga.